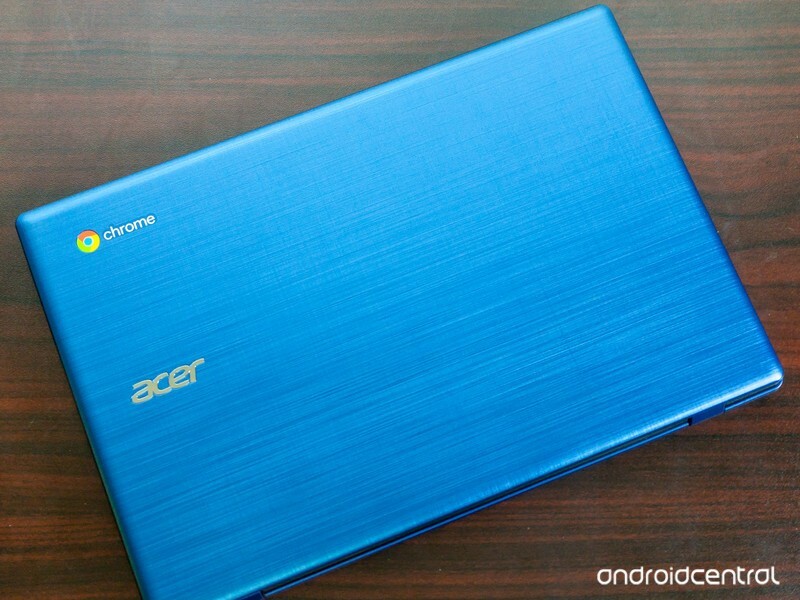 Acer’s refresh of the trusty Chromebook 11 is the best $270 you’ll ever spend on a laptop. We look at a lot of products here at Android Central. We try to spend our time on things that we would recommend and see devices that cover just about every price point. 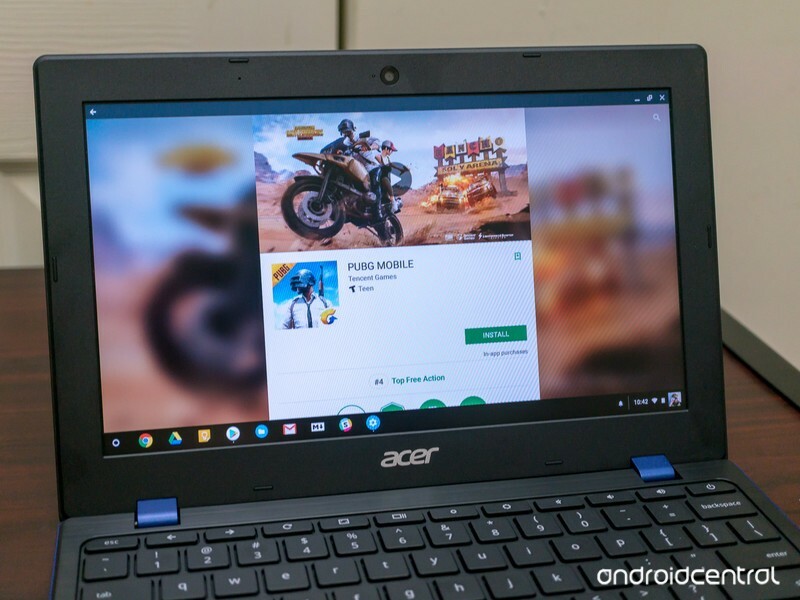 We love it when we can find a product that’s reasonably priced and it turns out to be great, and that’s a perfect description of Acer’s 2018 model Chromebook 11. 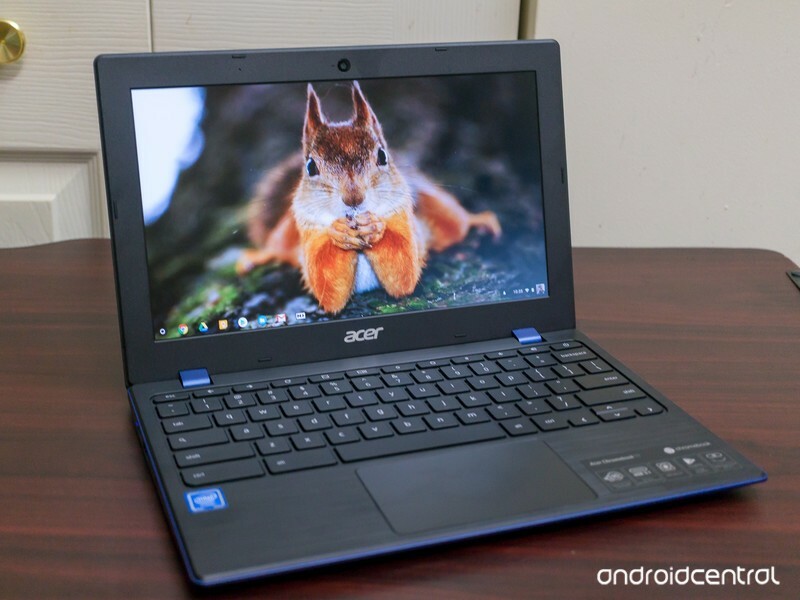 Building on the success of its previous offerings, Acer has refined both the look and the hardware to deliver a great basic Chromebook that offers awesome performance and checks in well under $300. 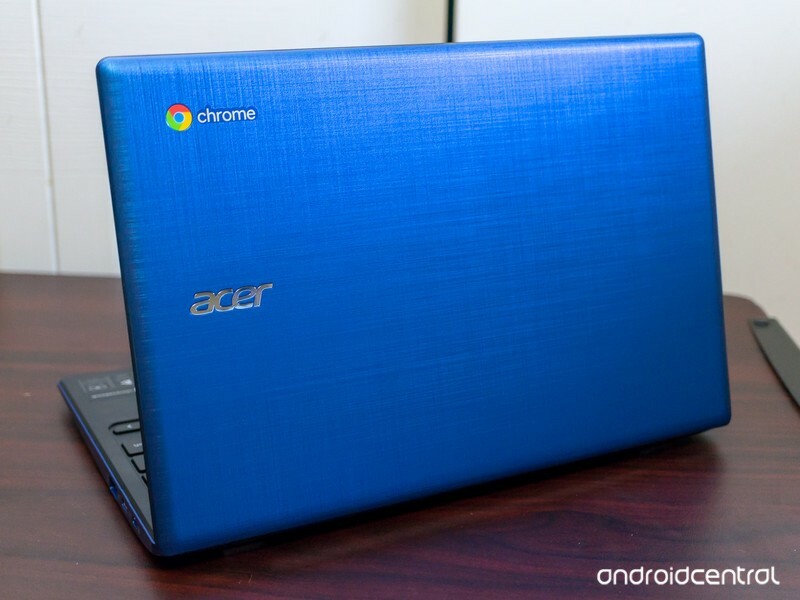 It’s a worthy successor to the original Acer Chromebook 11 that adds a touch of extra flair with its gorgeous indigo blue textured lid and satin-finish interior. The engine that drives the Chromebook 11 is an Intel N3350 with 4 GB of RAM (the Chromebook 11 comes in only one configuration), and it offers all the power necessary for a great experience. 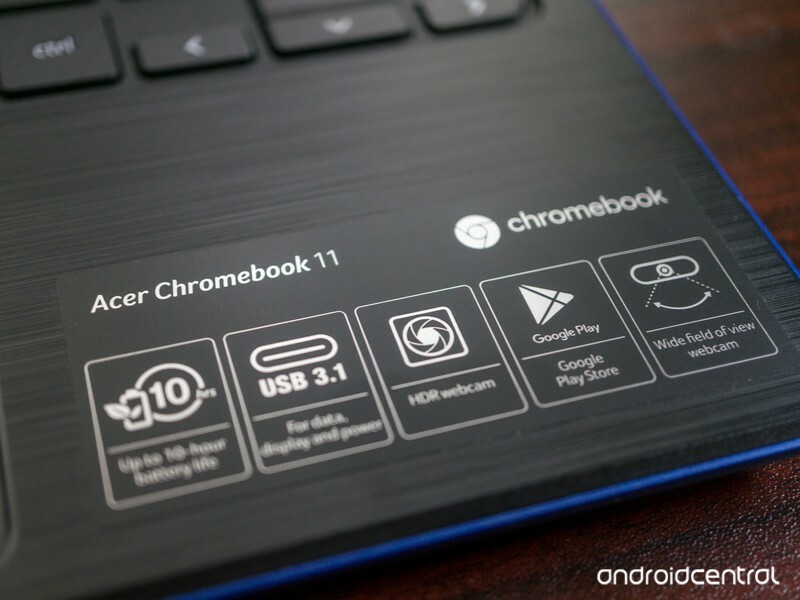 The Chromebook 11 doesn’t look like your typical grey or black Chromebook. You’ll immediately notice the deep blue color of its lid, and when you reach for it, you’ll love the textured finish. It’s not a rugged model, and it’s not a convertible — it’s a Chromebook for the person who wants a Chromebook and not a tablet or an easel-style display. You can do plastic two ways: good or bad. This is done the good way. It’s plastic, and in a world where thin light Chromebooks that offer a metal shell and look like a MacBook Air, which might be a turn off for some. But plastic shouldn’t equal damnation because it has some very redeeming qualities and Acer takes advantage of them very well. No part of the Chromebook 11 is glossy or slick; the plastic is finished in a matte coating that offers a light satin feel. In contrast with the outer lid, it’s subtle and feels good. I’m not afraid to say plastic can both feel and look good when done right, and the Chromebook 11 is plastic done right. It’s also very rigid and seems to be well constructed. There’s no flex in the lid or screen, the hinges are stiff but not too stiff, and the base supports it all while its open very well. There’s not much more you can say about how it’s built — it’s a traditional laptop that’s sturdy, looks great, and should last for a while with minimal care. I do appreciate high-end laptops or convertibles that are taking on the tablet space, but it was a little refreshing to use a simple and sturdy laptop that’s built like you would expect a laptop to be built. It was refreshing to use a small sturdy little Chromebook without any tablet ambitions again. I can’t overlook that the Chromebook 11 doesn’t act as a tablet, doesn’t have a touchscreen or pen input, and doesn’t have a 360-degree hinge of any sort. I appreciated that the company went for a more simple design that focuses on doing a laptop well and is leaving other models to take up the torch when it comes to those features. But you might not. 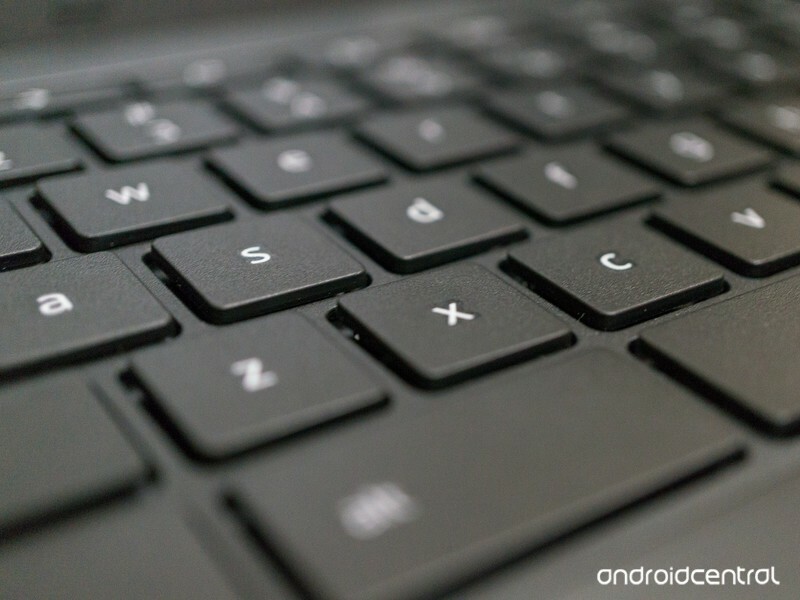 If you’re looking for a Chromebook that has touch input options or can fold over into a tablet configuration, the Chromebook 11 isn’t for you. François Beaufort’s Cog extension; get it at the Chrome Web Store. 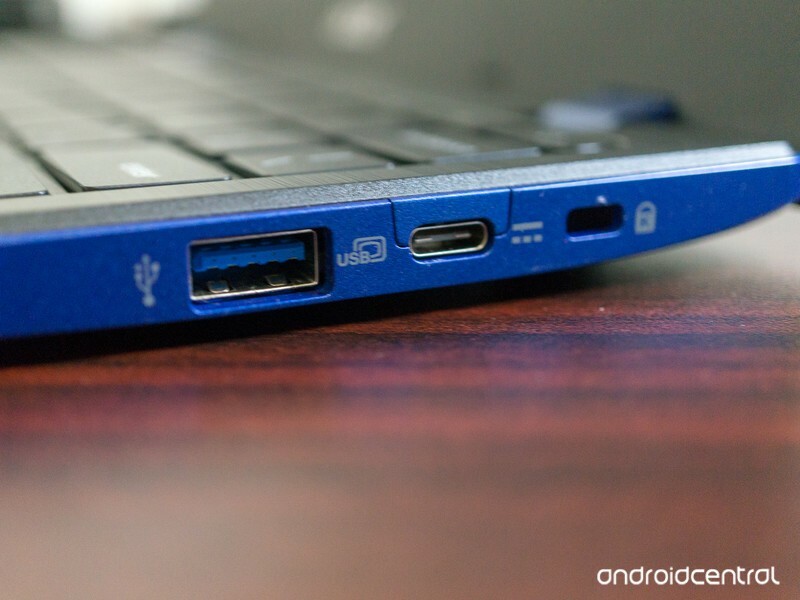 I love a Chromebook that gives me plenty of USB ports. 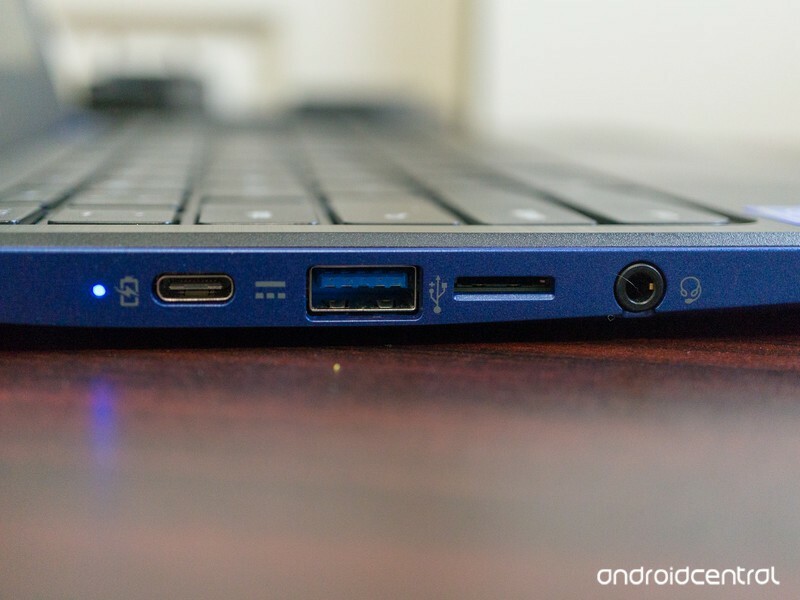 I know the future is filled with devices that all use the USB Type C standard, but for me, that future isn’t here just yet, and I like legacy support when it comes to the holes in my Chromebook. You’ll find two USB-C 3.1 ports and two USB A 3.0 ports, one of each on both sides. 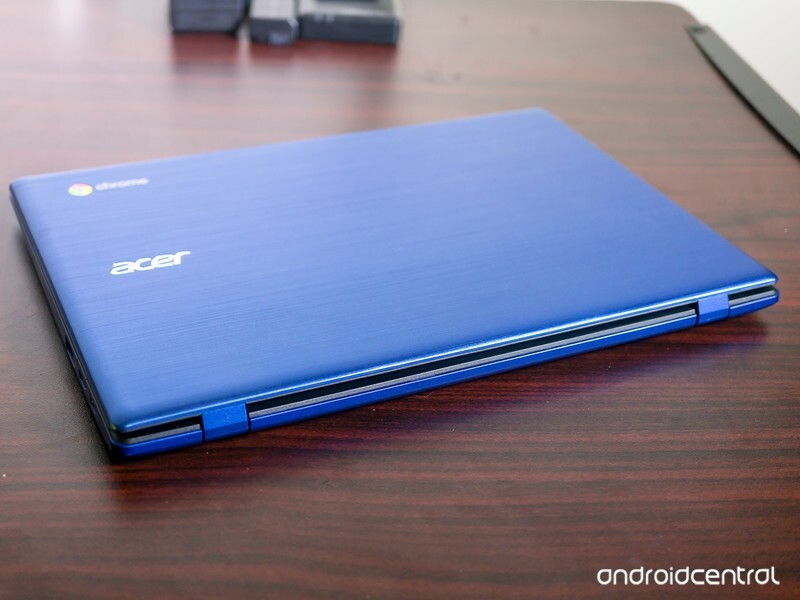 You’ll also find a Kensington lock slot, a combo headphone, and microphone 3.5mm jack, and a Micro-SD card slot that Acer says accepts cards up to 128 GB. It read and wrote with several different 128 GB cards but nothing bigger was available for testing I’ll wager it will work with larger capacity cards, and the 128 GB labeling is simply boilerplate like we see so often in other devices. You say you need ports? The Chromebook 11 has you covered. The USB-C ports follow the USB Consortium 3.1 standards, and that means they will carry audio and video as well as “regular” data transfers. The Chromebook 11 was able to send video out through my generic USB C docking station/adapter to a television or a computer monitor via HDMI. The USB ports and software drivers also supported an Anker USB 3.0 ethernet adapter without any fiddling around in the command line. Both USB-C ports also support charging, and you can charge another device with the correct USB cable using the Chromebook 11’s battery. Everything is there, and everything works. The keyboard is good, but not great. Part of this is that 11-inch Chromebooks don’t have much extra room in the keyboard pan so things can feel a bit cramped. The keys don’t feel small, but they are tightly spaced, and that can make touch typing a little more error-prone. The amount of travel and feedback when a key is pressed is adequate to let you know you’ve hit it, but nothing spectacular. It’s also possible (read: I’m spoiled and hate to admit it) that I’m a very picky typist and will notice the tiny details because my fingers are always tapping keys. 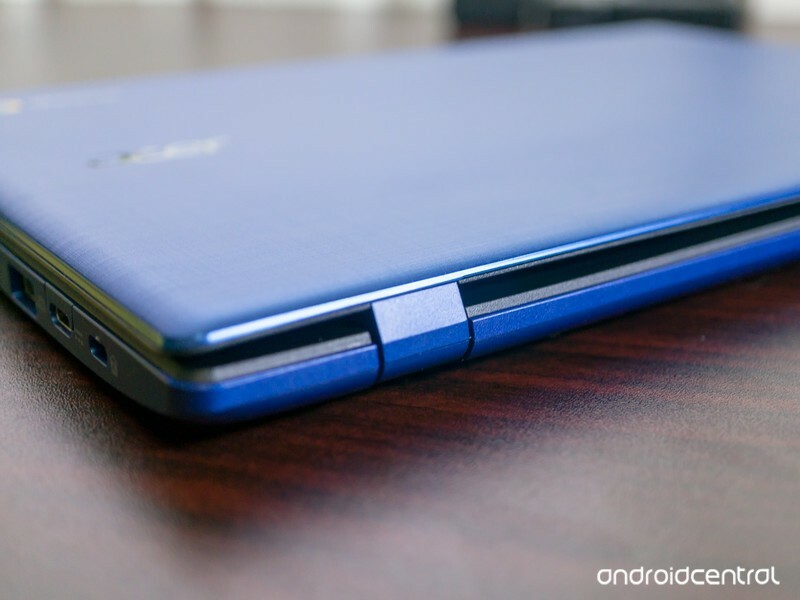 The Chromebook 11 is proof that a plastic trackpad can be excellent. Who knew? The trackpad, however, is excellent. It used to be normal to expect a sub-par trackpad on any Chromebook not made under the Pixel brand. Things progressed slowly, and there were some models last year that had more than serviceable touchpads, but the Chromebook 11 has a trackpad I enjoyed using. It’s plastic without any glass coating — and I expected to hate that — but with a smooth finish that has just a bit of drag for feedback. It’s “clickable” anywhere which is always a plus, and manipulating the cursor in both Chrome applications and Android apps was smooth and precise. And that’s great because, once again, we have to remember that the Chromebook 11 doesn’t have a touch display, so the cursor is your only interaction in most apps. I have a love/hate affair with the Chromebook 11’s display. It’s what you would expect on a no-frills Chromebook with a 1366 x 768 resolution on an 11.6-inch IPS panel. That’s not ideal by any means, but it’s not what bothers me. The display has a matte finish, which can be wonderful in certain conditions. You won’t have any issues with annoying reflections because of the matte finish, but glare from light at just the right angle can be a problem if it’s not bright enough. And the display isn’t extremely bright, topping out at 228 Nits. It’s not a bad display and the matte finish is great under most conditions, but forget using this one outside on a sunny day. Matte finishes are great when the display is bright enough. This one’s not, so beware the sunshine. As mentioned the display is not touch-capable. Models in the 11-inch size with touch screens and pen input are coming from Acer, but the Chromebook 11 is intended to be a dependable workhorse with a standard laptop configuration. 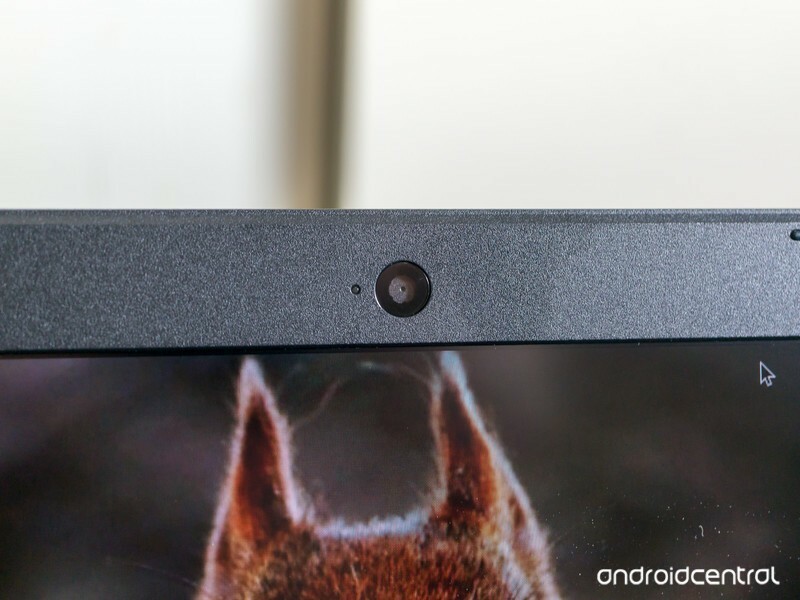 I’m not knocking the Chromebook 11 because of this, but I do feel that it needs to be mentioned whenever we talk about the display to make sure any potential buyers know what they are getting. Chrome OS is the same on every Chromebook that is still supported. That makes it great from a consumer standpoint — you know what to expect and any software flaws are addressed directly from Google in short order. It makes things hard on a reviewer though, as there aren’t any standouts to feature. The Chromebook 11 supports Android apps through Google Play out of the box, and the Google Play on-boarding process is simple. Enter your Google credentials to log into the Chromebook the first time, and you’ll be directed to the Play Store and asked if you would like to sign in. From there, it’s just like your phone — find an app you like and press the install button. You’re guided right into Google Play during the setup process. 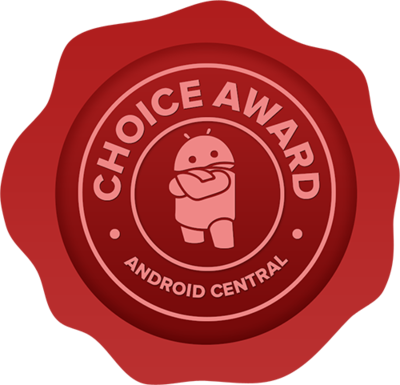 Because there is no touch support, I tried a few extra Android titles in addition to the those I use every day and those I use to review a device. Every Google service worked flawlessly (as expected) and nothing I installed seemed broken. Some things, Final Fantasy IX seemed a little clunky compared to an install on a phone, tablet, or other Chromebook with touch support as you’ll need to use the keyboard and/or trackpad to play. Overall, a Chromebook without a touch screen worked better than I expected even if the experience wasn’t perfect. Expect a full day of normal use from a single charge unless you get lost playing Final Fantasy IX when you should be working. The performance was exactly as expected and advertised. The dual-core Celeron CPU and integrated GPU were able to handle processor-intensive applications, and 4 GB of RAM meant I could open more tabs than I needed in the browser or keep all the Android apps I need running in the background with no problems. 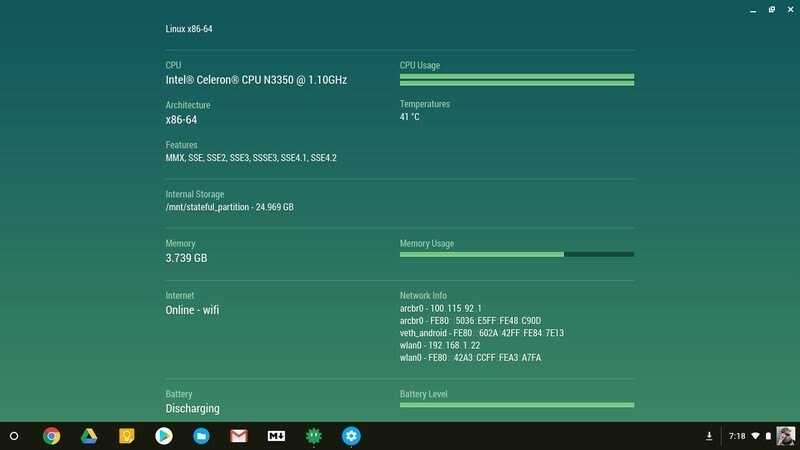 As of today, the specs of the Chromebook 11 are all you would ever need in a Chromebook, but I fell they aren’t enough to provide a great experience should Linux support come to the Chromebook 11 — and that’s a possibility because it has a 64-bit processor that can also run 32-bit applications without issue. We can go on and on here and gush over Chrome’s features and future, but that’s not needed. The Chromebook 11 runs Chrome (version 66 as of this writing) flawlessly and was able to handle a fairly heavy workload for 8-9 hours on a charge. If you ask someone what a Chromebook is, the answer you would likely get is that it’s an affordable, durable, and simple computer that’s great to use at home or on the go. And that’s what the 2018 Chromebook 11 is — the archetype of the Chromebook world. The Chromebook 11 is a throwback to what made Chromebooks great in the first place. I think the Chromebook 11 is a real winner and perfect for the person who wants a dependable laptop they can use every day, anywhere, and doesn’t want to give an arm and a leg for it. The lack of touch and pen support mean there will be some applications and features that don’t work as intended, but not very many, and if you’re looking to use them, the Chromebook 11 isn’t for you. I actually like what Acer has done here, but I’m not using my Chromebook as a tablet and have yet to find any must-have reasons for pen support. The Chromebook 11 gives me a great way to work or play in the configuration I prefer, and I would recommend it to anyone who feels the same way. The unique indigo blue lid is beautiful. Plenty of ports that are spaced well on both sides. The matte display is beautiful, but the 228 Nit brightness makes it unusable outdoors. 1366 x 768 resolution is expected at this price, but we don’t have to love that. No touch or pen input. 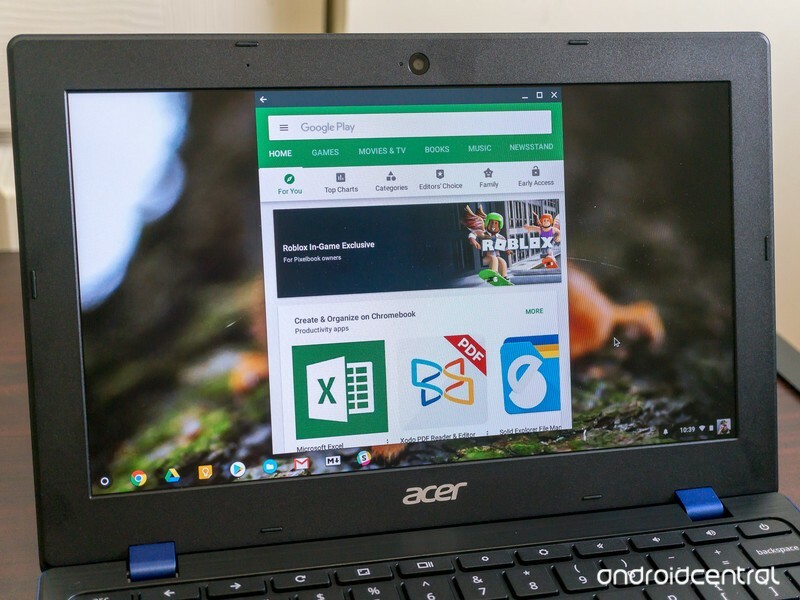 If you’re looking for a Chromebook that offers those extra features that make it a great tablet, too, Acer has models — including a second 11-inch device — coming that should meet your needs without breaking your bank. If you’re looking for something rugged, the Lenovo 500e is a great Chromebook that’s only $40 more. I just think it’s great that someone is still making a Chromebook that wants to be a laptop and nothing else and love that it works so well, looks so good, and costs less than $300.